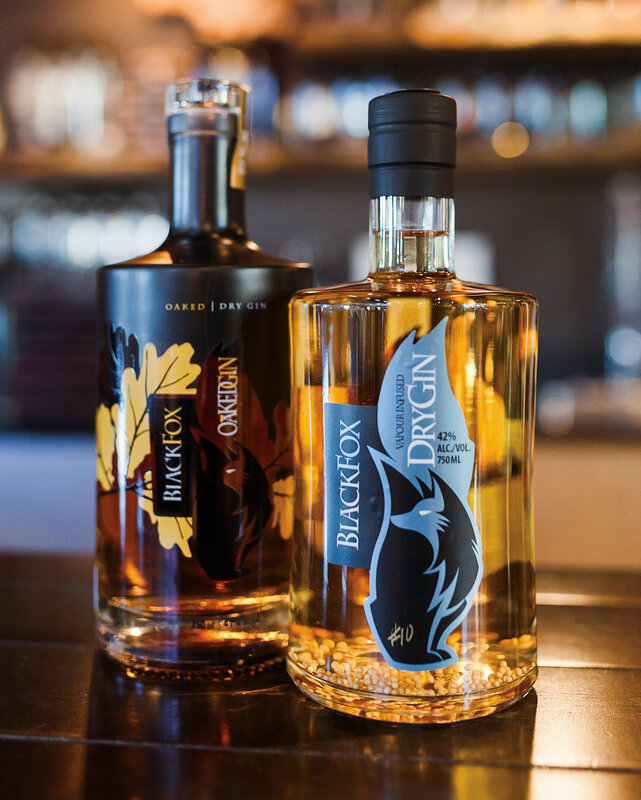 Black Fox Farm & Distillery began distilling in 2015. John Cote and Barb Stefanyshyn-Cote of Black Fox Farm & Distillery. 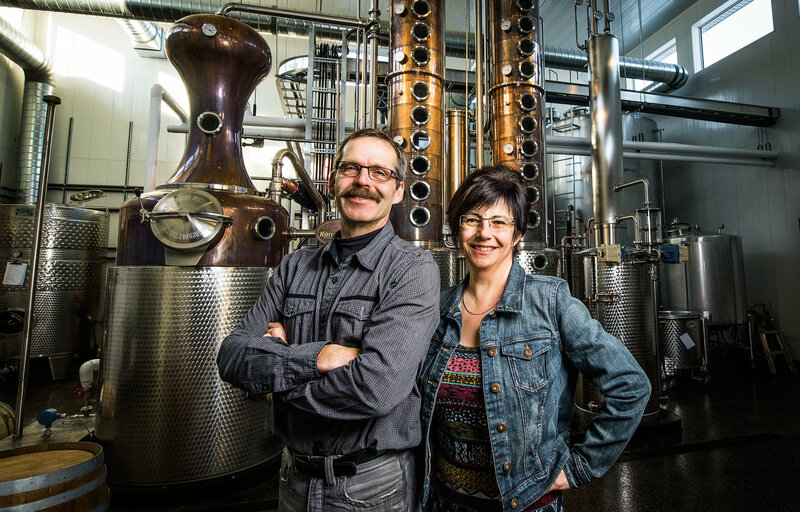 John is the head distiller and recipe creator and Barb is the farmer. These days, the company produces 20,000 to 30,000 litres of vodka, liqueurs, and (mostly) gin a year. 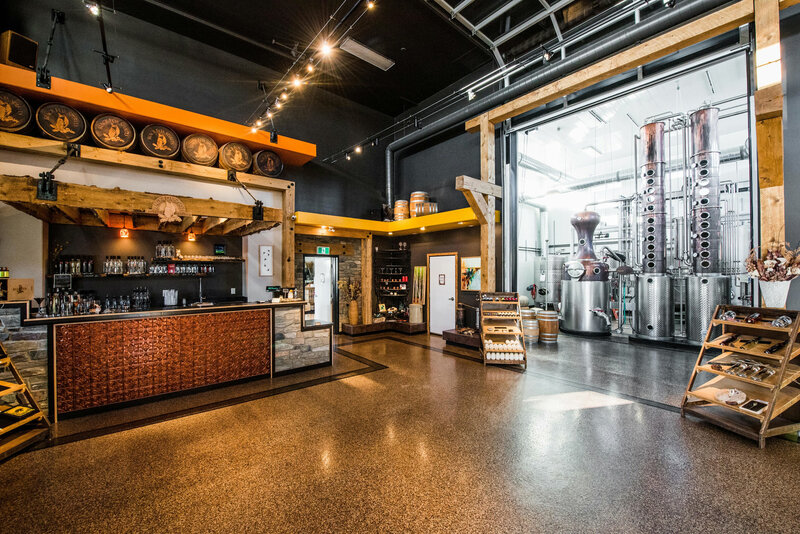 In the last few years, the province has dramatically improved market conditions for local distillers like Black Fox. John Cote and Barb Stefanyshyn-Cote took a lot of detours on the way to the Best Cask Gin podium at the World Gin Awards in 2017. The Saskatchewan farmers turned distillers had spent much of their working lives tending 5,000 acres of grains: wheat, barley, canola, flax, oats, and canary seed. The land had been in John’s family for three generations, and the decision to switch paths was a difficult one fraught with anxiety and error. John Cote and Barb Stefanyshyn-Cote took a lot of detours on the way to the Best Cask Gin podium at the World Gin Awards in 2017. In 2013, John went back to school. He spent time in Las Vegas at Carl, a custom fabricator of artisan distilling and mashing equipment. The following year, he apprenticed at Robert Birnecker’s Koval distillery in Chicago. In 2017, he began working toward his master distiller certification with the London-based Institute of Brewing & Distilling. Today, John is the family chef—head distiller and recipe creator at Black Fox, which started distilling in 2015—and Barb is the farmer. These days, the company produces 20,000 to 30,000 litres of vodka, liqueurs, and (mostly) gin a year. 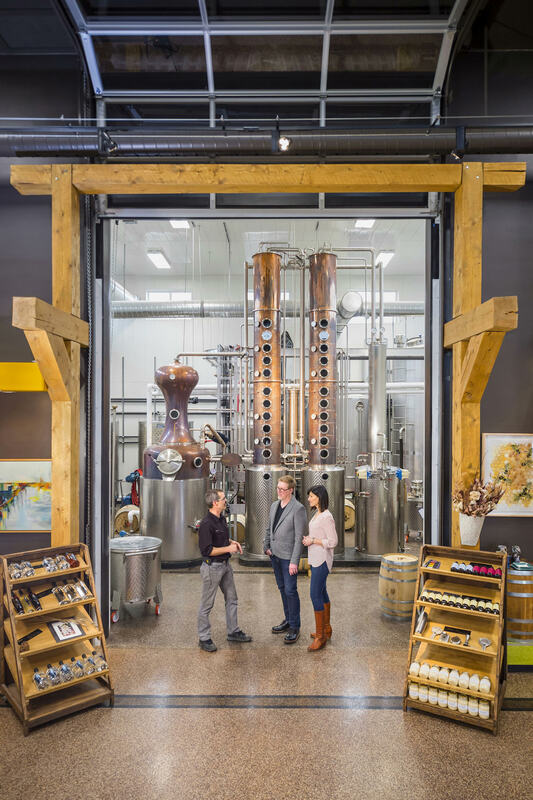 And for once the timing is perfect; in the last few years, the province has dramatically improved market conditions for local distillers, though they’re still waiting for expanded distribution. 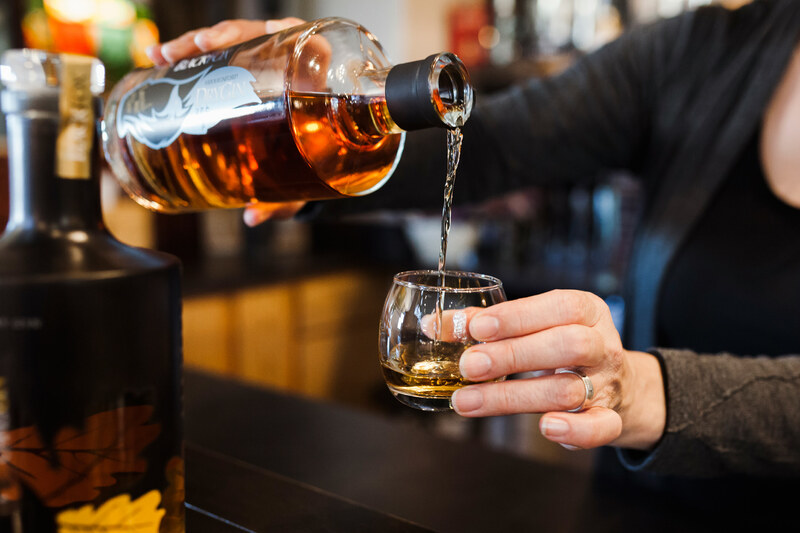 Black Fox is making the world’s best cask gin, according to category judge Cherry Constable, but few can try it; it’s for sale only in Saskatchewan. Happily, I was able to secure a bottle of Black Fox Oaked Gin ($87) and, moved by feelings of generosity, I staged a tasting with friends. I pitted Black Fox against Victoria Distillers’ Oaken Gin, which won Double Gold at the 2016 San Francisco World Spirits Competition. The two couldn’t have been more different, even in the glass. Black Fox’s had a caramel colour, nearly a whisky hue, compared to the chardonnay colour of Victoria’s. We ended the night with cask-aged Negronis and a discussion of the genetic anomaly of black foxes, familiar yet unique—so very Canadian.